"...indicates that the Second Coming will be just a few months away. " Since October 21 arrived without catastrophe, it appears Mr. Camping miscalculated yet again. So, the Mayan 2012 doomsday prophecy is up to bat next. I look forward to your analysis of the 2012 end times prediction. Perhaps you will be so kind as to explain in simple terms how our world is scheduled to expire precisely at that time while the Mayan civilization itself collapsed several centuries earlier. On December 22, 2012, I predict that we will witness an impressive display of human ingenuity as the next new profit-making book/documentary/lecture series emerges to tap a lucrative and never ending demand. I have already posted a long and detailed, three-part analysis of the hoo-hah over the supposed ending of the Mayan calendar. See my posting of Feb. 10, "Peter Gersten's Leap of Faith" (http://badufos.blogspot.com/2011/02/2012-peter-gerstens-leap-of-faith.html ), and the two following posts. Oct 21 has indeed arrived, but it has not yet ended, so Camping still has a few hours to go. While it is already Oct. 22 in Australia and most of Asia, it's still Oct. 21 in much of the world, including Britain (UT is still Oct. 21). So we'll give Camping a few more hours before we razz him unmercifully. Actually, I think there are one or two minor world-endings to go before the Big Enchilada next year. Something to do with good and bad aliens. If I can get more info on this I'll write it up. There's a kook I argue with who claims the Qur'an states (cryptically!) 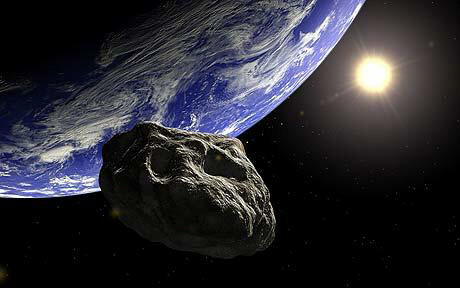 that meteors will pummel the earth in early 2012 and thensome. Thge world keeps on ending and I keep on missing it - damn, I must sleep too much.